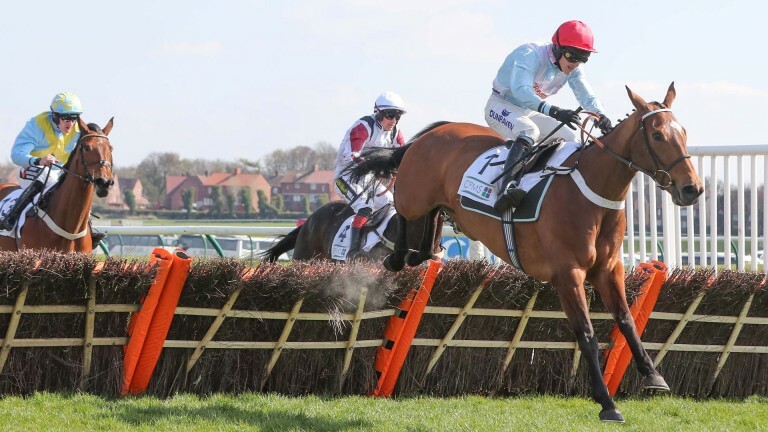 There was controversy over the state of the ground at Ayr on the course's biggest day of the jumps season, with 14 non-runners across the card, 13 owing to the drying conditions. The well-fancied Dingo Dollar was one of five absentees in the Coral Scottish Grand National. Michael Scudamore's duo of Kingswell Theatre and Mysteree were also ruled out, while Arthur's Gift was pulled out by Nigel Twiston-Davies. That followed four of champion trainer Nicky Henderson's representatives being taken out, including National hope Beware The Bear and Mister Fisher, while Gordon Elliott's Mam Trasna and the Paul Nicholls-trained My Way were also no-shows. Henderson considered the ground to be quicker than the official 'good' description and withdrew topweight Beware The Bear from the Scottish National before the start of racing, and then during the afternoon took out another three, including the promising O Connell Street from the bumper. He said on Saturday: "I walked the course this morning and I thought it was pretty quick. It was ideal for Verdana Blue and Brain Power in the Scottish Champion Hurdle but otherwise it wasn't for me." Verdana Blue showed her liking for the conditions by romping home in the CPMS Scottish Champion Hurdle, lowering the course record in the process. After riding in the opening race, Daryl Jacob was adamant it was good to firm, a view backed up by both the time of the race and fellow rider Craig Nichol. Scudamore was another unhappy with the going after withdrawing his pair from the big race, while Sandy Thomson, Elliott and Twiston-Davies were three other trainers to withdraw horses on account of conditions. Clerk of the course Graeme Anderson said: "Nobody has approached me about it so I've left it as good." Following the Scottish Grand National, the ground was changed to good, good to firm in places. However Scottish National-winning trainer Nicky Richards and Paul Nicholls has no qualms about the ground. "It's quick and perhaps if we were nearer home we wouldn't have run some," said Nicholls. "But I don't think it's harmful." Richards added: "It's quick, but I think it's safe enough and I think some of the horses taken out wanted it much softer."